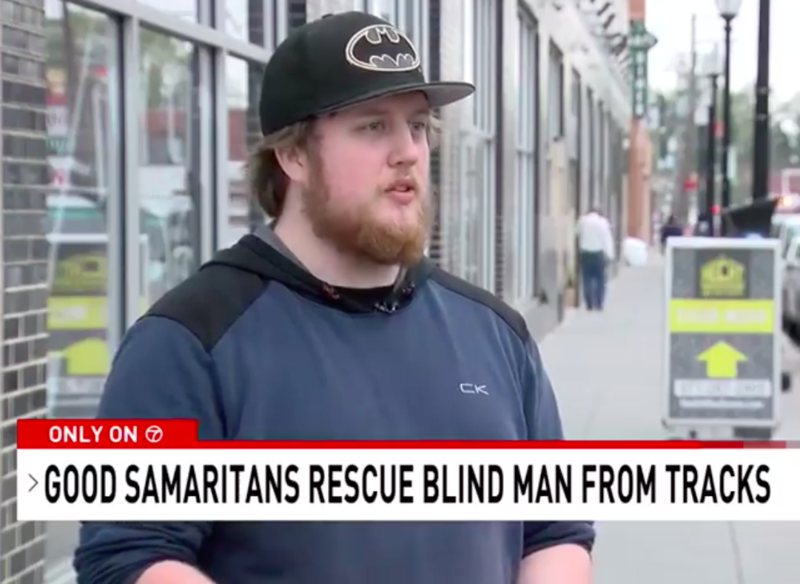 Blind Man Falls On Tracks Seconds Before Train Arrives & Hero Commuters Jump To Save Him. We’ve all seen the dramatic falls on to train tracks in movies, but (thankfully) it doesn’t often happen in real life. Still, the risk is there, and if it happens, time is certainly of the essence. 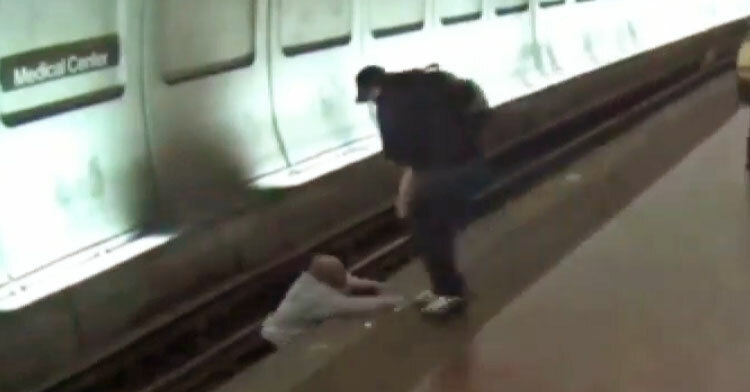 Recently, security cameras at a Maryland/DC train station captured footage of a man who fell on the tracks with only around 1:00 to get out to safety. 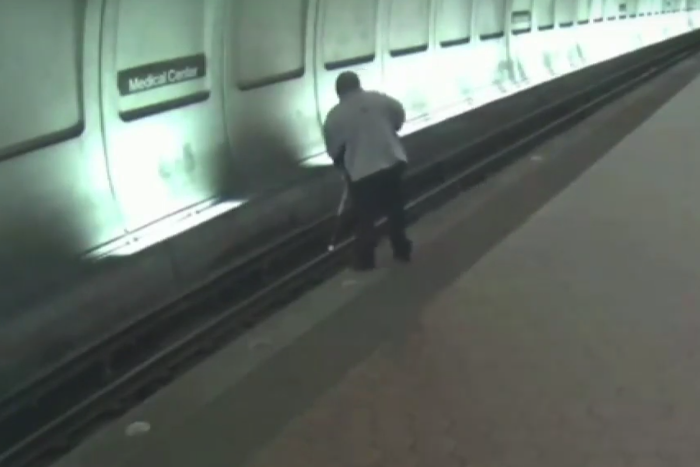 In the video, the man, who is blind and using a cane, appears to be walking dangerously close to the edge of the platform. He is using his cane as expected and seems like as he approaches the edge, he knows to stop. Unfortunately, he either loses his balance or isn’t aware just how close he is to the edge, and he falls down onto the tracks. Fellow passenger Brendan Cawley immediately jumped into action to try to get the man to safety. He later told a local news station that he quickly realized he could not pull the man out alone. As Brendan struggles to pull the man away from the tracks, more passengers appear in the security camera frame and work together to pull him out. More and more people come to help, just as the light from the front of the train appears in the tunnel entrance. Thankfully, the heroic strangers got the man to safety (just in the nick of time)! He thankfully survived the fall with non-life threatening injuries and was taken to the hospital for evaluation and monitoring. Watch the dramatic, real-life train track rescue in the video below & don’t forget to share with your friends!